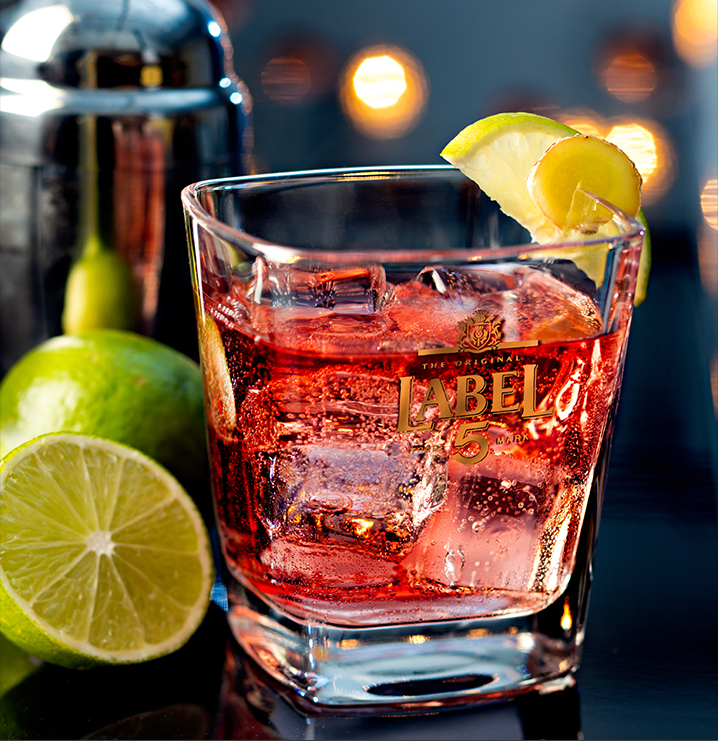 4cl LABEL 5 Classic Black / 4cl Cranberry juice / 4cl Lemonade / Ginger and slices of lime. In a short drink glass half-filled with ice cubes, pour LABEL 5 Classic Black and cranberry juice. Top with lemonade. Add some ginger and a slice of lime.